FLOTUS fits surprisingly neatly into Lambchop’s catalog, capturing what makes this band so special and hinting at new directions it might take in its next two decades. While FLOTUS may be Wagner’s calmest collection of music to date, his foray into a new genre is far from a safe bet. Full of meditative wisdom that he adds to his genre-blurring work, FLOTUS contains a restless energy that frequently surprises. FLOTUS’ parts make for a mixed bag, but their sum is an entrancing and contemplative experience. When it works (and that's most of the time), FLOTUS proves the wisdom of risk-taking over crowd-pleasing complacency. A dozen records deep in their career, we find Lambchop at their most adventurous, and it sounds wonderful. FLOTUS is as lush and gorgeous as any of Lambchop’s past work, sometimes floating by with the luxurious chill of hotel lobby music, but never losing its sense of direction. As the album progresses, it becomes apparent Lambchop are keen to evolve and take risks, 30 years into their career. 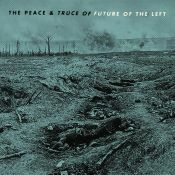 The delicate alt-country never fully rescinds, but Wagner’s vocals take on another dimension entirely. FLOTUS might be an experiment, but if it turns out to be the template for Lambchop’s future output then that would be no bad thing. What should continue to draw longtime Lambchop fan in to FLOTUS is the fact that Wagner's songwriting, lyrics and arrangements remain as strong, insightful and clever as ever, making nary an eye blink at Wagner's odd journey into new musical dimensions. It plays out like a counterpoint to the wracked alienation of Bon Iver’s recent Auto-Tune-heavy 22, A Million, filled with warmth, wistful nostalgia and soft, autumnal light. Two decades on, Lambchop are not only still able to surprise listeners, they're doing some of their best work at the same time, and FLOTUS is an unexpected triumph. ‘Flotus’ is long, initially challenging and is clearly an experiment, but never is it alienating in the way some experiments can be. In their collectedness, Lambchop’s albums often come off as minor masterpieces — not quietly stunning but aesthetically proclamatory, carrying material enough for a listener to stay with and dwell on. FLOTUS is no exception. FLOTUS is much more than another genre effort, where Wagner deeply alters his usual country bearings and gives it a new and unexpected orientation. 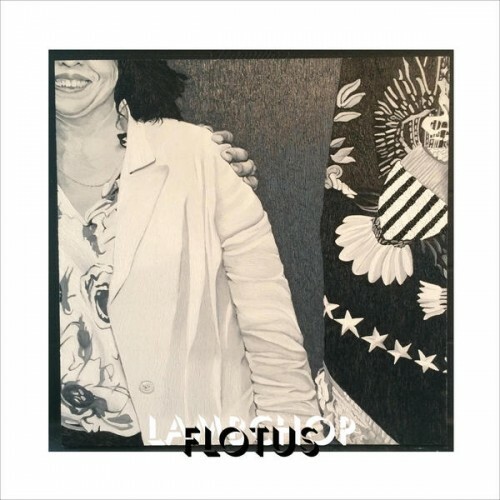 Their new record, FLOTUS, is a hard left-turn back into experimental territory ... a weightless but propulsive collection of ambient-leaning rock music, featuring heavy use of treated vocals from Wagner. When an album is bookended between two potential song of the year contenders with little to grasp in between, it’s difficult to really get too invested in this record. "I wAs lIstEniNg t0 Lo-fI beAts bEfoRe iT waS cOoL!" Lambchop dive headlong into the most bizarre example of vocal treatment this side of Bladee - and this is only the first of a number of reasons the album shouldn't work. The lyrics are odd (even by Wagner's standards), the album is ridiculously long and one toned and is bookended by two quarter of an hour long tracks - plus most of these songs have a very loose regard for song writing convention. His new work sounds gorgeous at first listen, lush and atmospheric, but so lightweight that it can get stale very quickly. Sure, there is some charm to what Lamchop does here, but if you analyze the songs' structures, there is actually very little to no direction at all in most of the cuts here, and for the most part, this album drifts, wanders around while getting nowhere in the end. Still makes up for a chilling session at home, though, that is for sure. Kurt Wagner refreshes his sonic structures with organic electronica in an attempt to give to his tuneful melodies a contemporary outfit which, despite its expected elegance is standing embarrassed in front of the mirror. Purchasing FLOTUS from Amazon helps support Album of the Year. Or consider a donation?